Goal-line technology could well be on its way to the Premier League, with 13 companies meeting up with Fifa next week to vie for their tech to be used. While the idea is still in the proposal stage, there is a lot of heat on Fifa at the moment to implement the technology and do away with controversial refereeing decisions. If one of the 13 companies – Hawk-Eye and Cairos are two of the more famous ones attending – can convince Fifa that goal-line technology can be used and not impact the flow of the game, then it is likely that it will be used for major football tournaments. The current method of goal-line 'technology' being tested out by Uefa's president Michel Platini is to have to assistant referees stand behind the goals and make a decision as to whether the ball went over the line or not. These additional refs have been roundly criticised due to the fact that for the majority of a game they have absolutely no involvement. Companies such as Abatec, Tag Heuer and Longines will be running up against Hawk-Eye and Cairo but, according to the Guardian, it may well be a UK-based rival that pips the rest to the post. Goalminder is the brainchild of ex-footballer Harry Barnes and uses cameras to see if the ball goes over the line. 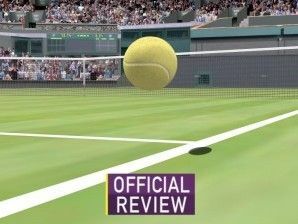 Within seconds a high-def image can be shown on TV of the ball, which will please the likes of Sky - famous for using technology to spruce up its broadcasts of matches. Even though this, albeit significant, meeting is taking place it is doesn't mean that any of the 13 companies will be chosen to develop their technology for football matches. Sepp Blatter has always been coy over the use of goal-line technology and it will be him who has the final say if the technology will be used. The International Football Board (IFAB) said back in October that it would look at the technology and make a decision in March, which means that Blatter and co will take its time to make its decision.